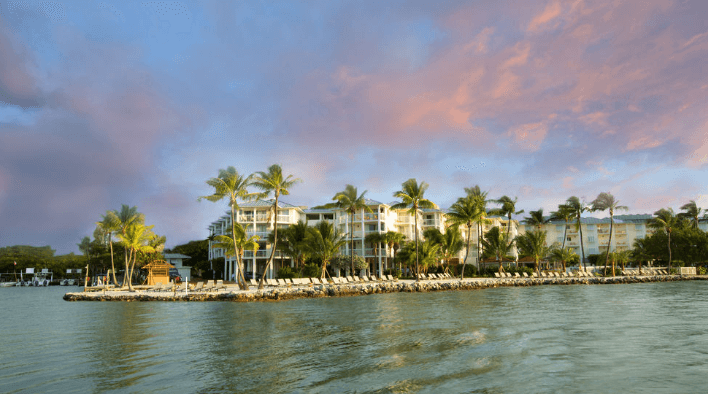 This place is a great stop if you’re traveling from Key West back to Miami or Fort Lauderdale. 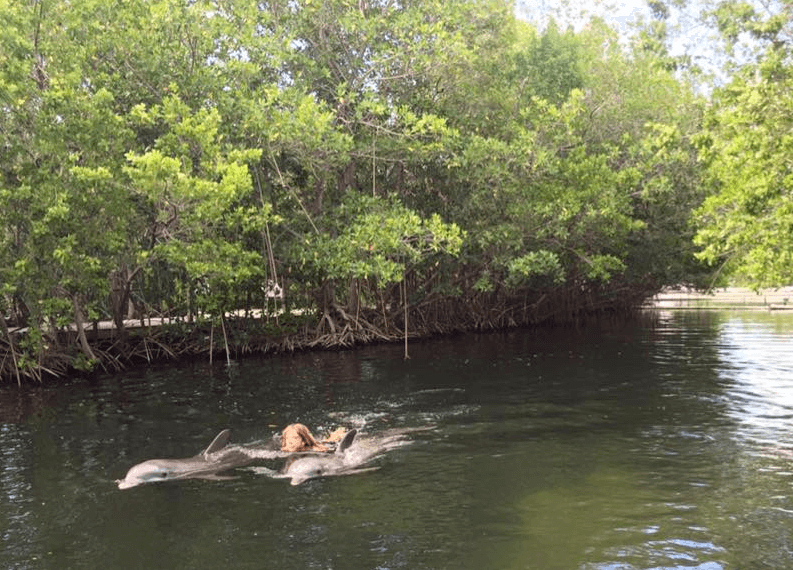 It is about an hour and 45 minutes from Key West if you are looking for a swim with the dolphins program in the Florida Keys.The park has 17 acres and is full of interesting animals– sea lions, dolphins, fish, turtles, and crocodiles just to name a few. This facility cares for animals who are rescued and you can witness that the staff cares about all the animals that are here. Even if you don’t go into the water with dolphins, you’re able to get pretty close to the animals in the park. The dolphins come right up to the boat; the turtles are swimming within reach even though you can’t touch them; and there is a cool pond where you can wade in as huge fish swim around you. We do offer a shuttle service. There is an extra cost for this service. 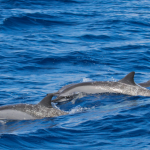 The cost we have listed on our website, includes round trip van service with a driver and your dolphin programs and shows. In most cases, it will seem like a private service, because it will be just your group and the driver. You will appreciate this service if you need transportation because it is prompt and the driver can professionally deal with the Miami/Keys traffic and roads. Do you have a kennel for pets? No, but you can bring your well behaved, leashed dog into the park if you clean up after them. How big is the lagoon? 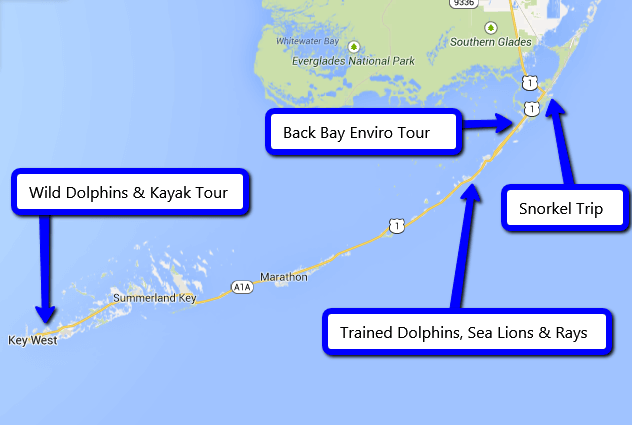 The lagoon is three acres in size with an average depth of 15 to 20 feet. The rest of the property is about 17 acres in size and rich with tropical foliage and orchids. A snack bar/grill is available from 10:00 a.m. to 4:00 p.m (closing time will vary with season) and serves a variety of delicious foods including pizza, burgers, sandwiches, salads, and seafood. There are also several vending machines with cold drinks located throughout the property. Can I bring my own masks, fins and snorkels? Yes you can. Water shoes may be worn instead of fins for parts of the ray, shark, and sea lion swim, but we do not provide these so you bring your own. What do the observers get to do? The observers can accompany the animal interaction program participants to the swim areas, watch the educational orientation and the special program interaction, and of course join the dolphin, sea lion and parrot shows, bottomless boat ride, nature tour, lagoon-side beach and guided marine life tour. How much are the photo packages? Our photo package includes a photo CD with all of one participants’ images from one program, plus a professionally edited DVD including titles, transitions and bonus footage from around the park. $118.00 for the first participant plus $10.00 for each additional participant. Additional Discounts are available for multiple programs.